2. Can I Use My IRA Funds to Buy a House & Rent the House Out? A self-directed traditional IRA allows you a wider range of investments than a conventional retirement account. One of the options is to invest in real estate, which for most account owners means buying apartments or multifamily homes to rent out. 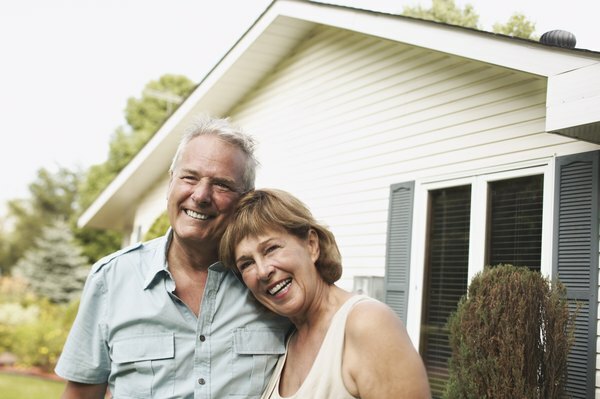 Having your IRA buy your retirement home is a possibility, but it comes with financial risks and drawbacks you should consider carefully before plunging in. If you move into your house while your IRA owns it, you're in trouble. The IRS strictly bans self-dealing -- doing business with your own IRA other than putting money in it. If, say, you sell your house to your IRA or rent property the IRA owns, that's self-dealing, and it turns your IRA into an ordinary collection of assets. Suppose you have $250,000 in your IRA when the IRS voids your account. Now you have to add those assets to your income for the year. To get around the self-dealing snare, you can have your IRA buy your future retirement home as an investment. Your IRA collects the rental income, none of which is taxable until you withdraw it. That may be a plus for you if you're in a high tax bracket. When you turn 59 1/2, you can start withdrawing any or all of your assets from the IRA, including the house. Unfortunately, your IRA withdrawals are taxable income. If your house is worth $250,000, say, when you take title from your IRA, you'll have to pay tax on an extra $250,000 in income for the year. Buying your house through your IRA not only makes your rental income-tax free, you have your IRA making the down payment and mortgage payments for you. This may work for you if you don't have the money for the house in other accounts. The downside is that you don't get any of the write-offs you could normally take. As your IRA owns the house, you can't deduct the rental mortgage interest, property taxes or depreciation on your own taxes. Depending on your finances, this may not work for you. The principle behind IRAs is that you get a tax deduction now, then pay money on withdrawals when you retire and shift to a lower tax bracket. If you're still working at 59 1/2 -- the age at which you can tap the IRA with no penalty -- you can delay withdrawals until 70 1/2, when minimum annual withdrawals become mandatory. You have some tax flexibility with smaller withdrawals but a house guarantees a huge spike in taxable income the year you withdraw it. USA Today: Investing: Are Self-Directed IRAs Too Good to Be True? Can I Invest in My Husband's Business With a Self-Directed IRA? Is the Purchase of an RV As a Second Home With IRA Funds a Tax Deduction?